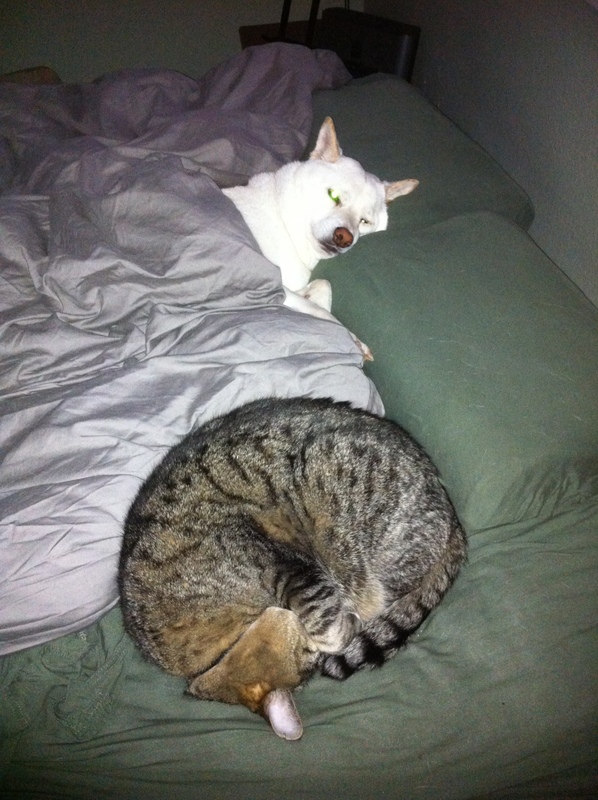 Many people just ignore budgeting, or go to sleep and hide their heads like my fuzzy animals. They assume that because they can’t make ends meet, it’s not for them. This couldn’t be further from the truth- when you budget, you are making sure that you’re spending your hard earned money on exactly what you need and want. A few years ago, the envelope system was really popular. The idea is that you come up with how much money you want to spend on certain things, like groceries and clothes, and put that amount in a labeled envelope. You can only spend from the specific envelope, and when the money is gone you can’t buy anything else in that category for the rest of the month. I tried that, but who wants to carry around a bunch of envelopes full of cash? Not me. I want to use my credit or debit card and make it easy. I designed a budget in Excel, which is available for you to download below. You can just use it on your computer, or you can put it into Google Docs to use on the go. All you need to do is use a Google Account (Gmail works) and cut and paste the spreadsheet I provide below into Google Docs. 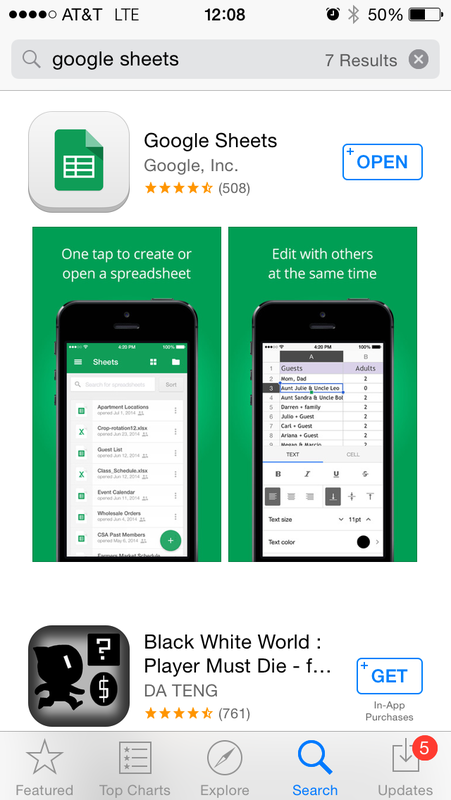 You then download the free app “Google Sheets”, and it will auto update on your phone. Every time I spend money, I update my Monthly Budget sheet. I am taking money out of that category without having to carry around anything extra, or having to get the right amounts of cash for each envelope. Make it your own! Change the numbers to match your own expenses. Add or subtract lines as needed. If you’re not very familiar with Excel, email me or leave a comment and I can walk you through it. The formula will total at the bottom, and it should match your take home pay for the month. Please note, this is not my actual budget, I changed the numbers. I didn’t think my work would appreciate my posting my salary on the internet. Obviously, finding your take home pay can be really tricky if you work a job with variable hours or a tipped position. When I waited tables and bartended, I would do my budget based on the minimum amount I needed to get by. If I hadn’t made enough, I picked up shifts, cut my spending, got another job- whatever was necessary. Now I have the luxury of knowing exactly what I will make, so budgeting is much easier. I do my monthly budget three months at a time. You could easily do it for the whole year, if that’s easier for you. Expenses from month to month are very similar, but in the example I’ve given you I adjusted for higher electric bills in the colder months, and for an expense from the “annual expenses” (more on this below) that I know will be due in January. Since January has already started, some money has already been spent. I put as much as possible on my credit card (to earn rewards that go directly toward paying off my student loan). I keep a running total of how much I owe on my credit card and make several payments a month. If you can’t pay off a credit card in full, the rewards aren’t worth it. I use the annual expenses spreadsheet to track costs that, when I was first starting with budgeting, I considered to be things that just “came up” (when that wasn’t the case at all). These are expenses that you can plan on, but just don’t happen every month. I’m talking about things like birthdays, car insurance premiums, and bills that don’t come every month (like my water and trash bills). Some may be optional and can be cut down, but some are must pays that need to be in your budget. This spreadsheet is customizable for anything that you pay over the course of the year that doesn’t fit in your monthly budget. You just put in the expense, when it is due, and the amount that you estimate you will need. Then the formula I put in will total everything and divide it by 12, to give you the amount that you need to save every month to always have the money to pay these bills. I have a separate savings account for these annual expenses, and I transfer the money into it every month. You can skip this entirely, but it helped me a lot. I went from never really understanding why I was always dipping into savings, to knowing exactly where my money was going. It also takes the stress out of Christmas, because I know that the money has already been saved! 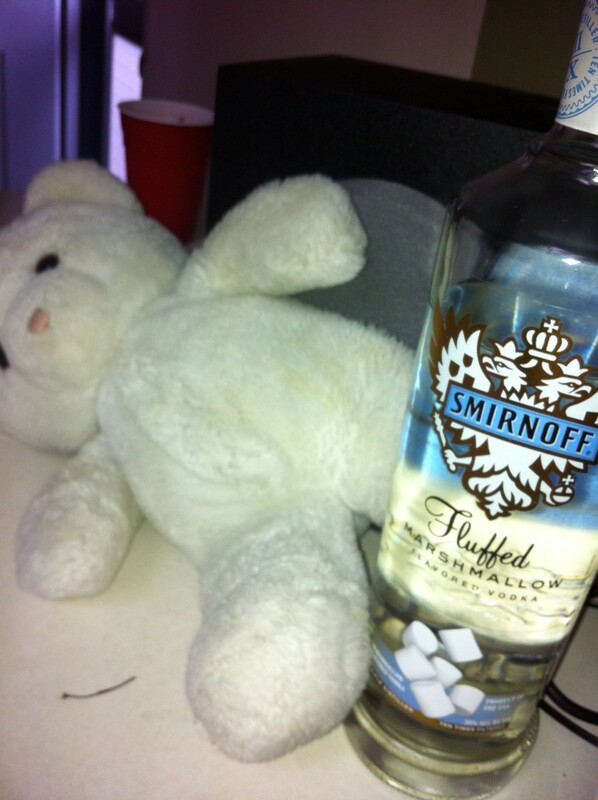 Are you ready for a drink yet? Don’t worry, you’re doing great! This bear is only sad because he didn’t have a slick little budget like you do 🙂 Let me know if you have any questions, or would like to see a spreadsheet for something else. Jillian. This is a great story. I know a lot of people that still use the envelope system. As long as they are budgeting and tracking their spending, they can use any system that works for them. Excel is at the heart of my budget as well. Just an observation, our cat seems to have to problem making ends meet. Those animals really have trouble! I am not trying to say people shouldn’t use the envelope system, just that this alternative works well if you aren’t interested in carrying around extra stuff and going into that bank. Those things were standing in my way, and now they’re not. I love it!